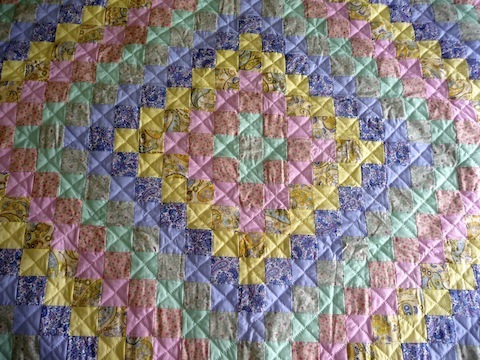 This much loved and admired Amish Quilt pattern is also called Sunshine and Shadows. We think you’ll agree that this is a great unisex quilt. Each side is bound with a different color (yellow, green, blue and pink). The body of the quilt is made up of the same four general colors, in both solid and print fabrics. The artist skillfully placed the varying colors of solid and print fabric to shadow each other. 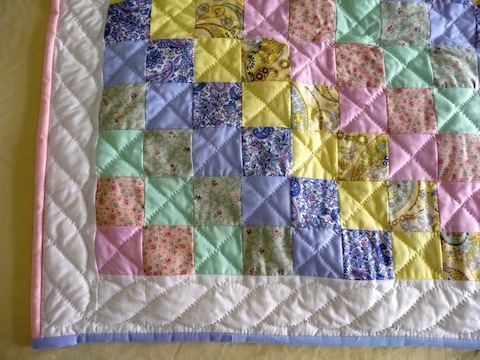 We think you’ll agree that this truly give this beautiful little baby quilt loads of depth and interest. 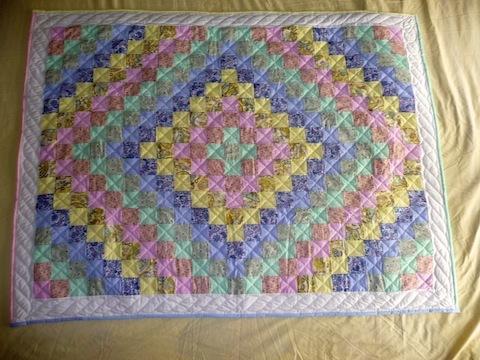 The border of our Trip Around the World baby quilt is made up of a hand quilted braided rope pattern.